Mayor’s Musings: From graduations to geraniums! 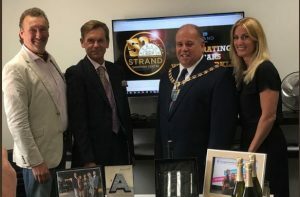 I had another rather busy week in which I had the pleasure of attending 6 engagements with a very eclectic calendar – from giving out certificates to school graduates to attending the Hairlucinations’ 50th Anniversary at the Bootle Strand! 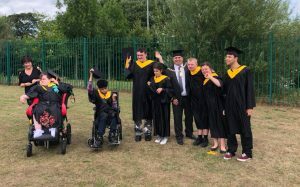 I accepted my VIP Invitation to the University of Liverpool Graduation Ceremonies with great delight as it gives me the opportunity to recognise and appreciate all of the hard work which the students give into their work and future. In the afternoon however it was time for me to show students from Spain and Chile the history and background of Southport Town Hall. I always enjoy these visits as often I find myself sometimes learning new things as well! 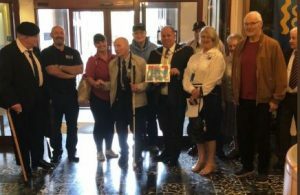 In the morning I thoroughly enjoyed meeting with Sefton Veterans for a historical tour explaining how both World Wars affected Bootle Town Hall and how the community rallied together in order to get the Town Hall back and running. Later in the day I was invited to the Rowan Park School Leavers Assembly. It’s always a pleasure to go to Rowan Park as it really embodies the closeness of the local community.. I was given the opportunity to give out certificates to the graduates who gave both myself and the students a great smile on our faces. It was a pleasure to be invited to attend the 50th Anniversary of Hairlucinations in Bootle. I also had the honour of officially presenting the stylists with the Sefton Apprenticeship Employer of the Year 2018 award. I rounded off a busy week at the Hightown Flower Show, hot on the heels of last year’s roaring success. There were some fantastic displays on show and I can’t thank Mr Clive Harris enough for the invitation. Special mention must go to all of the competitors for all of their hard work in making this show such a success.